William (Bill) Gates was born on 28th October 1955 and is reportedly the world's third richest person and former chairman of the global Microsoft Corporation. More latterly he has gained admiration as a philanthropist establishing the Bill and Melinda Gates foundation in 2000. Bill Gates (who once said "If you can't make it good, at least make it look good") launched his first version of Windows on 20th November 1985. To download and save this celebrity autograph of Bill Gates simply place your cursor over the celebrity autograph and right click on your mouse, then download the celebrity Bill Gates autograph onto your hard drive! 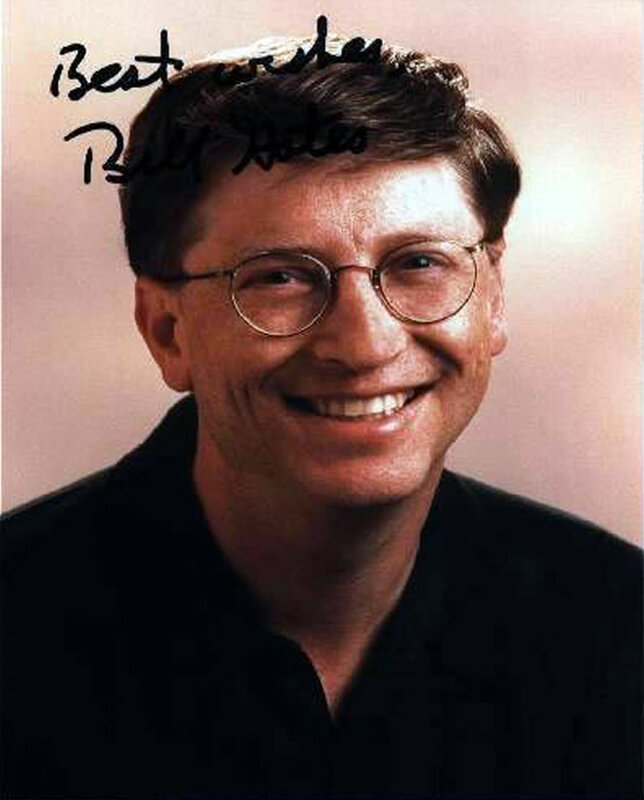 To download and save this autograph of Bill Gates simply place your cursor over the celebrity autograph and right click on your mouse, then download the Bill Gates autograph onto your hard drive!